Yarn and Fiber Happenings: Norah Gaughan Volume 4 has arrived at The Yarn and Fiber Company! 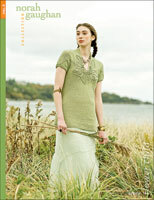 Norah Gaughan Volume 4 has arrived at The Yarn and Fiber Company! New at The Yarn and Fiber Company is the latest release of the Norah Gaughan Volume 4 - YEAH!!!! 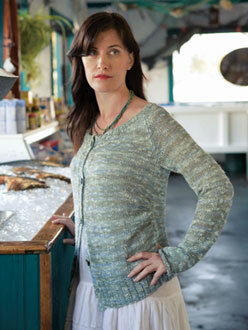 Another spectacular collection of gorgeous sweaters from Norah Gaughan and the Berroco design team. 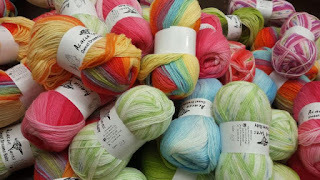 We also have the yarn to support the patterns which includes a new cotton line from Berroco called Pure Pima Cotton, Seduce and new Seduce Colors yarn. Pure Pima Cotton is a wonderful cotton that knits to 5.5 sts per inch on a US#6, 115 yards per skein and retails for $6 per skein - what a great price for another great yarn from Berroco! Seduce yarn is a gorgeous blend of 47% Rayon, 25% Linen, 17% Silk, 11% Nylon and perfect for knitting summer wear that is cool and light to wear. Berroco has also introduced Seduce Colors which has all of the incomparable drape and texture of silken Seduce but comes in a range of 5 shimmering summer tinged hues. All is good for Spring and Summer knitters with this collection to enjoy! Also, while we are talking about Berroco, have you all found out about the Berroco Metallic Sox Sock yarn? It is fun and sparkling and is as much fun to knit as wear! One skein makes a pair at 380 yards per 100 gram skein. Enjoy your day!